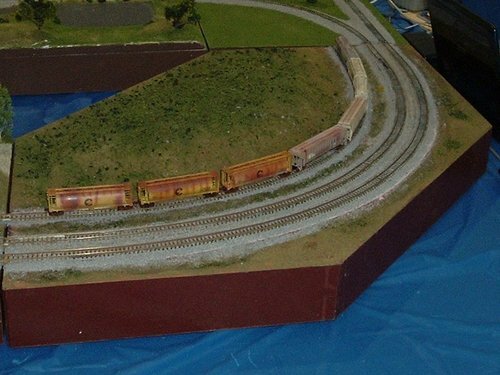 Description: Plus one corner (676mm) with third track. Third track can be used as extension of Freight house. Corner is full alternate depth (approximately 14 3/8").